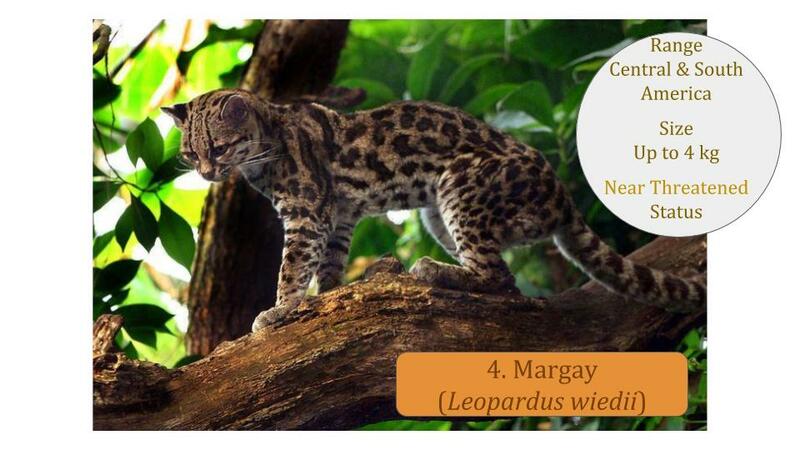 The Leopardus lineage consists of eight small spotted cats in the Leopardus genus, which are distributed throughout Central and South America, also known as the Ocelot group. 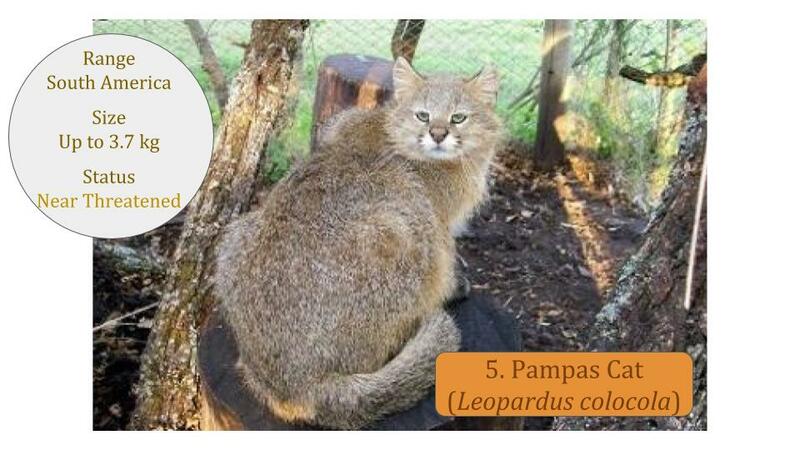 These cats have 36 chromosomes instead of 38 as per all the other Felidae species. 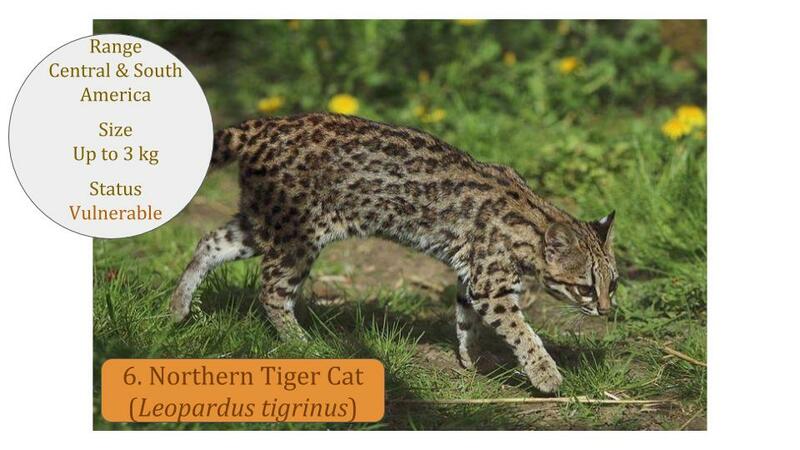 The Felidae ancestors of the Ocelot or Leopardus lineage originated 8.0 MYA (million years ago) and initially evolved into two species in North America. 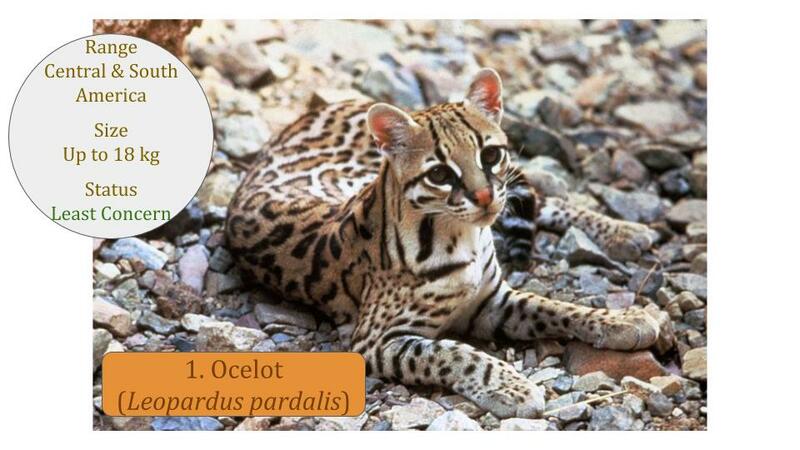 Later during the second ice age of 2 – 3 MYA cats migrated over the Panama land bridge to South America, and the Ocelot group diversified further to the eight species of today. 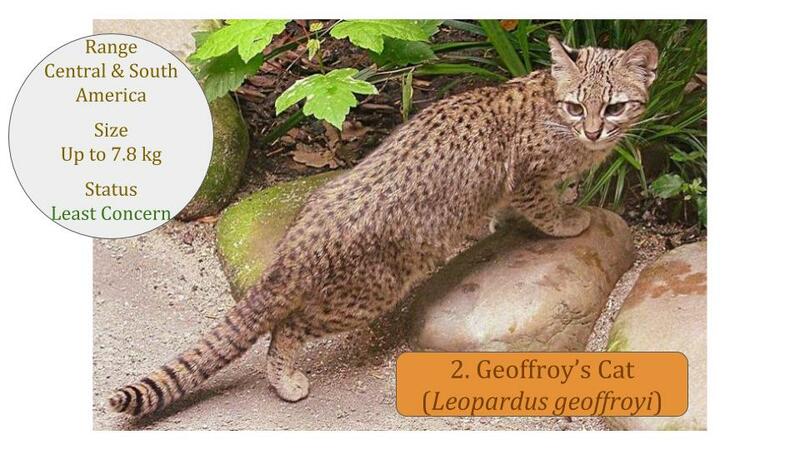 Update 2017: As per the revised Felidae taxonomy – the correct spelling of the Latin name is Leopardus colocola (previously colocolo). 1. 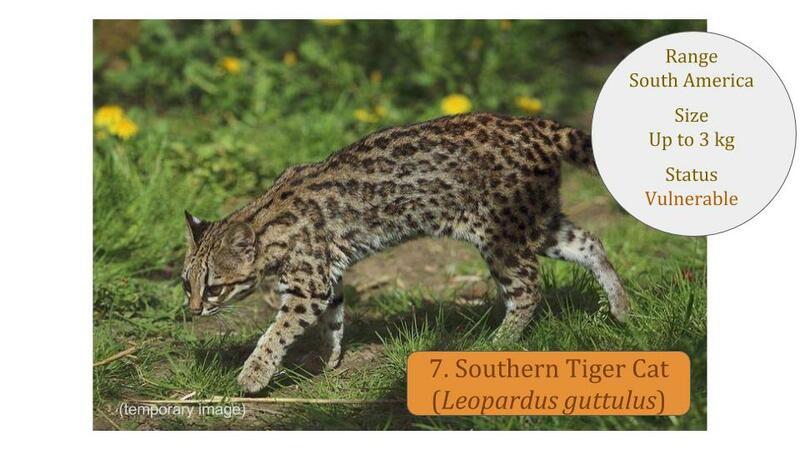 Which is by far the largest cat in the group, with the next in size only half its weight? 2. Which of these cats is called the small cat version of the snow leopard? 3. 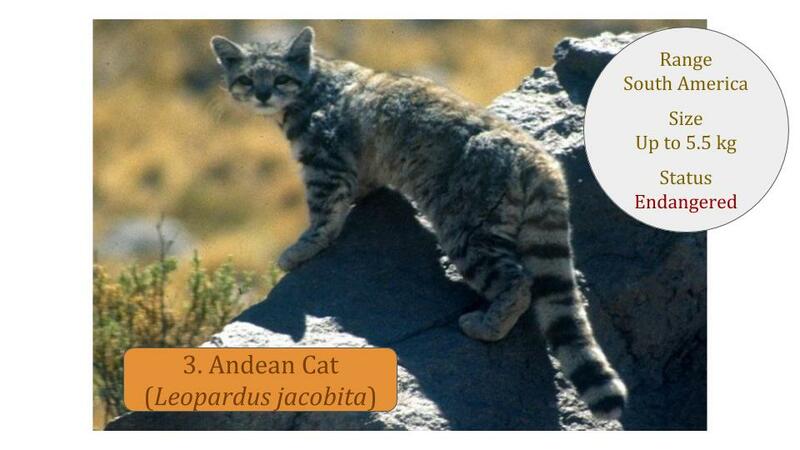 Which cat is the most endangered? 4. 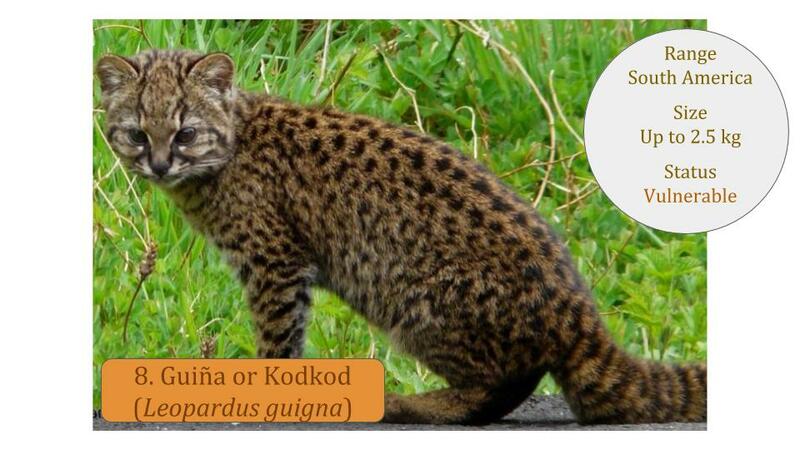 Which of these cats live in trees and can hold on to branches with its hind feet? 5. 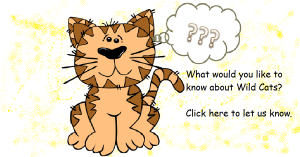 Which cat has three types of pelage (fur) pattern? 6. Which is the smallest of the cats?